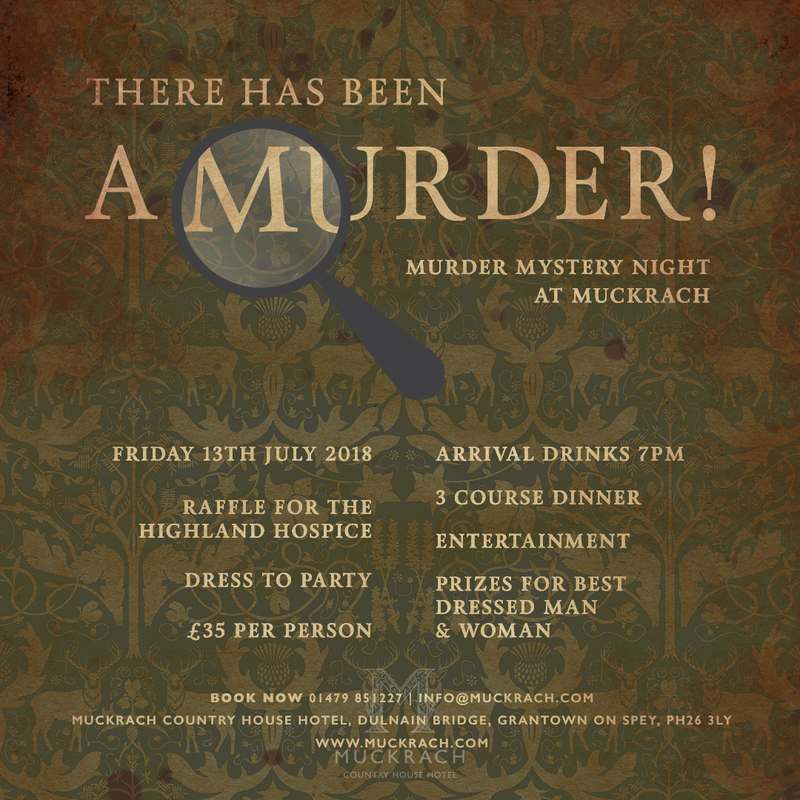 Due to the incredible popularity of the last Murder Mystery Party at Muckrach Country House Hotel the Walking Theatre Company are returning on Friday 13th July for another Murder Mystery! 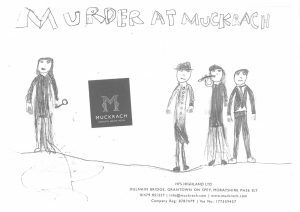 Guests are welcomed to the investigation at 7pm where they will receive arrival drinks followed by a three course meal designed by Head Chef Jon and his team. With live entertainment and the chance to win prizes for the Best Dressed Man and Woman. A raffle will be available on the night of the event and all money raised will be donated to The Highland Hospice. Tickets are available from the hotel reception and are £35 per person.